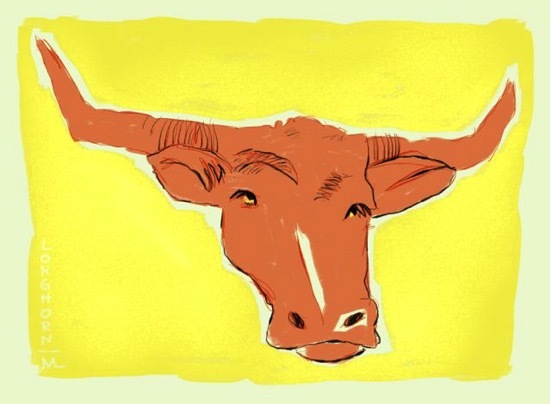 I cracked open a sketchbook from many years ago and found a sketch of this here longhorn. So I worked from that sketch and drew this using my Sensu brush and Procreate. I kinda like it.